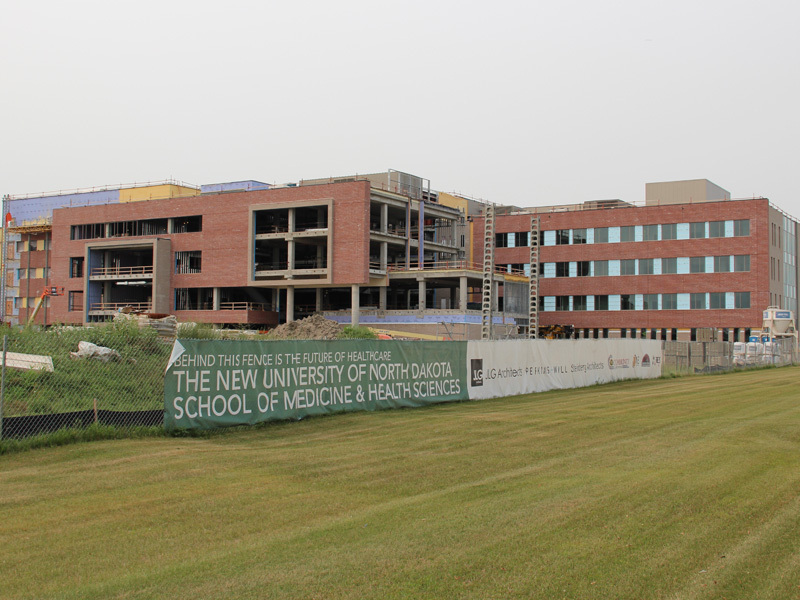 AE2S is presently serving as the civil engineer on the design team led by JLG Architects for a new School of Medicine and Health Sciences (SMHS) on the UND Campus. The new facility will be prominently located on a seven acre site at the corner of Gateway Drive and North Columbia Road. At a total cost of approximately $120 Million, the facility will lead health care education into the future for the entire State of North Dakota. As project civil engineer, AE2S is responsible for design of all site development aspects of the project, including grading and drainage, water and sanitary sewer services, access roads, parking for 400 vehicles, and connection to campus pedestrian and bicycle trail system. With the location at a remote corner of Campus, an emphasis was placed on accessibility by multiple of modes of transportation, such as campus shuttle bus system. The stormwater management system was a particularly unique design feature utilizing a wet detention pond and bio-filtration basin (rain garden) to capture and treat stormwater runoff. The pond and rain garden are capable of removing 80 percent of the average annual total suspended solids from stormwater runoff, thereby enhancing water quality in the nearby English Coulee.